The XGLOSS series is an incredibly resilient high-gloss surface that is suitable for both interior and facade treatments. Nanotechnology lends Dekton’s new colors their luxuriously shiny finish. The five new color options are available in large format slabs in three different thickness options. 3form has expanded its range of translucent color panels to offer 250 options that can be layered with different colors and textures to allow for infinite combinations. 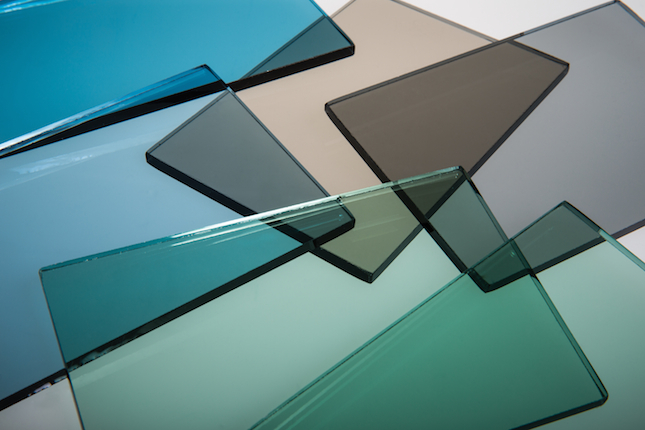 The colors can be applied to any of five material options including resin, polycarbonate, glass, recycled acrylic, and recycled resin. This exterior wall cladding system is particularly useful against adverse weather conditions, and the development of advanced fixing systems allows Krion to be used in ventilated facades. 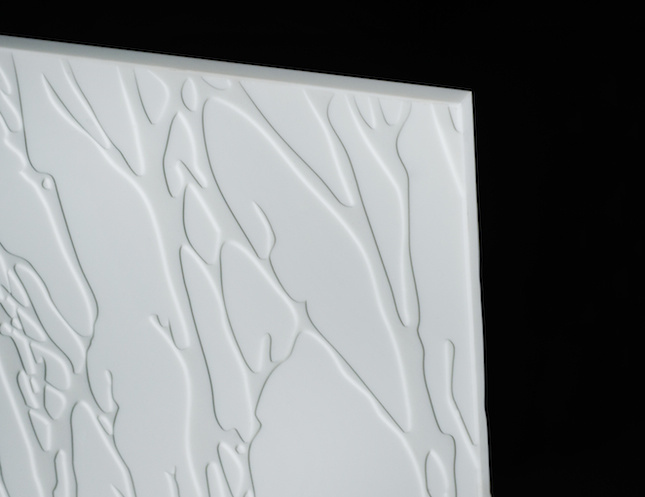 In addition, it can be thermoformed to create different curves, shapes, or textures. Krion is 100 percent recyclable, and made of an ecological material that is available in a wide range of colors. 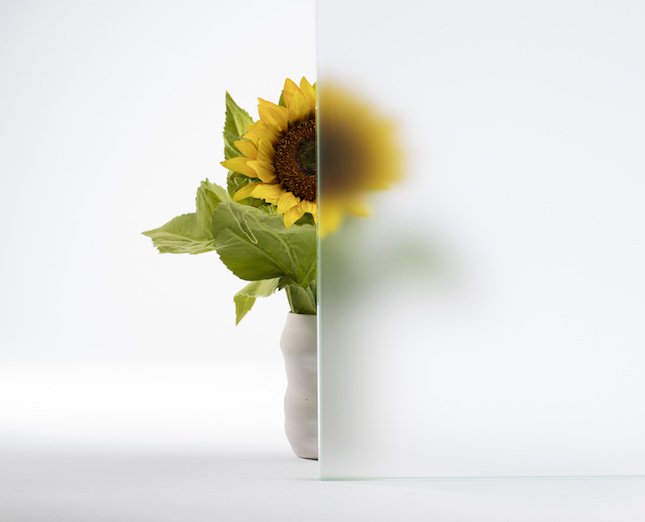 UltraClear glass offers maximum clarity and color neutrality, making it virtually invisible. Without the green tint of standard glass, UltraClear allows for picture-perfect views. It can be combined with low-e coatings, and is fabricated, laminated, and heat-treated like standard glass. The Diamond White PVB interlayer is a single-layer film that offers the safety of a laminated construction as well as a uniform opaqueness and highly reflective surface. The optical properties are better than that of coated or fritted glass, because the glass does not need to be tempered, which results in less optical distortion. Composed of a warm edge spacer, primary PIB seal, and two-part silicone secondary seal, 3Seal is robotically applied to ensure an extremely straight sightline, improve thermal performance, increase condensation resistance, promote sound attenuation, and maximize heat-flow resistance. 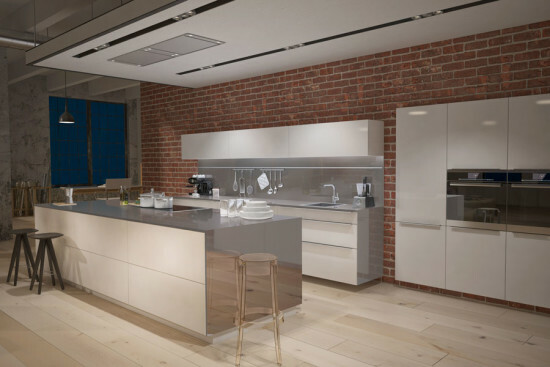 This super thin, flexible glass can be rolled onto a traditional flat building material, such as MDF, to create a durable laminate that can be easily cut on-site. Designed to offer the most light with the lowest heat, triple silver SunGuard SNX 51/23 is a commercial low-e glass product with visible light transmission at 51 percent and a solar heat gain coefficient at .23 on clear float glass. 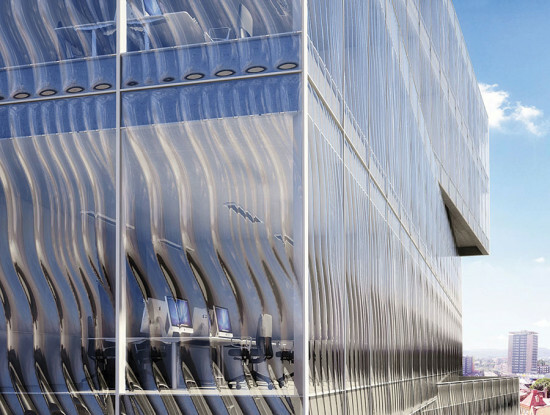 The algorithm that controls the tinting process of this dynamic glass system works with advanced weather inputs, enabling it to predict not only the sun’s movement, but also short-term and long-term weather conditions. A combination of glass and screen, this material allows images to be projected onto clear glass without blocking the view beyond. Available in a range of thicknesses and screen sizes of 100-inches and larger, the product can accommodate front- and rear-projection designs. 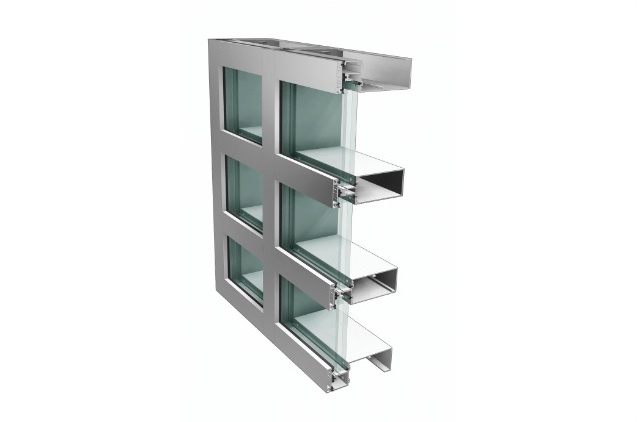 These glass block units install like traditional windows with built-in nailing fins, so there is no additional assembly required. They provide privacy, security, and light-control while meeting Energy Star requirements. Architects can design medical X-ray viewing windows with a wider field of vision and improved comfort, thanks to the large 108- by 54-inch size of this glass. Other applications include screens for medical diagnostics, protection windows in laboratories, and airport security X-ray screens. 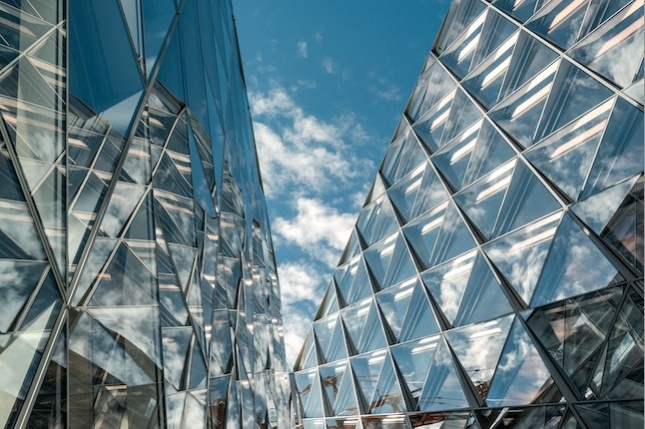 The dual role glass plays in architectural design—a material integral to both a building's appearance and its performance—makes selecting a specific product a tricky process. From energy-efficient glazing to decorative dichroic panels, here are a few new items to spur the imagination. Liquidkrystal Lasvit Designed by Ross Lovegrove, these glass panels can be fixed into construction profiles or into building construction-assembly grooves. Specialty colors and finishes are available; panels range in size from 80 by 8 centimeters to 270 by 370 centimeters. Koda XT 3Form Refined design meets extreme durability in this translucent polycarbonate panel material. Specially formulated for exterior applications, it is a cost-effective alternative to glass. 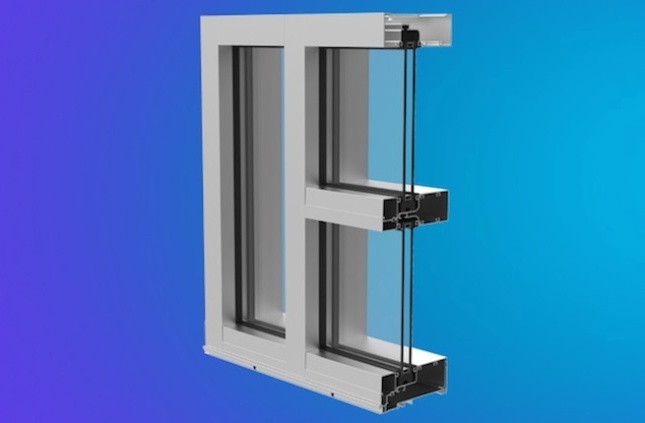 8250 STX Wausau Factory-fabricated as an aluminum knocked-down system, this curtain wall offers glazing contractors an easy-to-install, non-thermal system for low- to mid-rise buildings. It features tubular vertical framing members in lieu of I-beams, to withstand wind loads without twisting at anchor points or buckling. VUE-30 Viracon This high-performance glass coating allows designers to maximize window-to-wall ratios, while exceeding industry and current domestic energy code requirements for sustainable design. The coating is available on any Viracon glass substrate, and can also be combined with silkscreen patterns or digital printing. 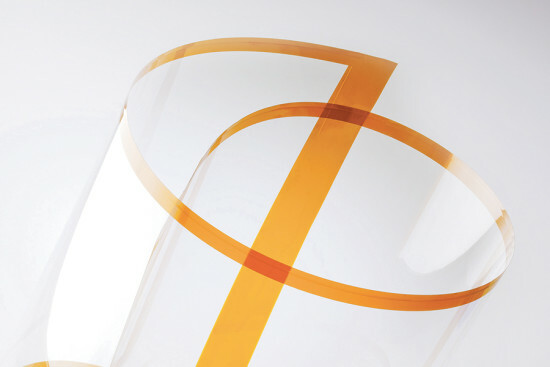 Optichroic Dichroic Glass Bendheim This laminated glass is available in an assortment of surface combinations, including clear, etched, and etched patterns. It can be produced in sheets as large as 54 by 120 inches, without the long lead-times typically associated with specialty products. It's Parametric. 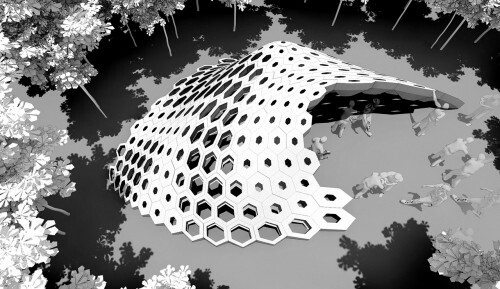 ArchDaily posts an intriguing project from Bucharest, Romania: the Hexigloo pavilion designed by architecture students. Under the supervision of instructors Tudor Cosmatu, Irina Bogdan, and Andrei Radacanu, 55 students learned basic parametric design principles and over the course of one week built a striking honeycomb structure of cardboard funnels. Spantastic. The Guardian reports the opening of the world's longest sea-crossing bridge that spans the Jiaozhou Bay in China. After four years and roughly £1.4 billion, the bridge makes possible commuting between cities Qingdao and Huangdao in a region southeast of Beijing. Look forward to another, even longer, bridge opening in 2015 that will connect the Guangdong province to Hong Kong and Macau. Supertallest. The Council on Tall Buildings and Urban Habitat awarded Adrian Smith an honor of lifetime achievement for his work in the realm of the supertall. Bustler highlights Smith's work on some of the world’s tallest completed buildings: Dubai’s Burj Khalifa, Nanjing’s Zifeng Tower at Nanjing Greenland Financial Center, Chicago’s Trump International Hotel & Tower, and Shanghai’s Jin Mao Tower while at Skidmore, Owings & Merrill. Swiss Watch. Treehugger shares news from Zurich: the city is developing a project called OpenSense that will allow buses and other infrastructure systems, including mobile phone networks, to monitor air quality.